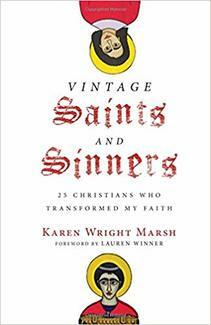 We have updated the sign up list for Vintage Saints & Sinners by Karen Wright Marsh for the Spring semester! If you don't mind, sign up to take a turn as a Chapter Host for a Sunday. Hosting simply means you will have read your chapter and have a question, observation, etc. or two to begin the discussion. Don't worry! If you don't have the book, let me know ([email protected]) and I can arrange to get you a copy to use for your Sunday. Not sure if you want to sign up as host yet? That's ok, just come check us out. We are a very welcoming group! To purchase your paper or audio book click here. 01/27/2019 (Sun.) Francis and Clare of Assisi: WWJD?